First Seen: Episode 1034: It's an Outbreak-chu! The Pikachu Valley!! 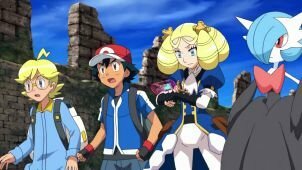 First Seen: Episode 748: Expedition to Onix Island! Magikarp's shiny form appeared in Mid-Late Hoenn with a Cameo role. In it, a trainer called Jimmy accidentally caught one while fishing. However as soon as he did that, a trainer came along and offered to trade it for his Charmeleon. 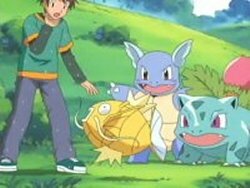 Jimmy accepted and Magikarp was given to the random trainer. Another later appeared in Undella Town when a trainer was hunting for it. First Seen: Episode 368: Judgement Day! Another one was later used, and shown in its Mega Evolved form, by Lysandre as he tried to take over Lumiose City and destroy the world. 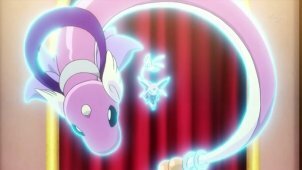 Dragonair's shiny form appeared in the Kalos saga. 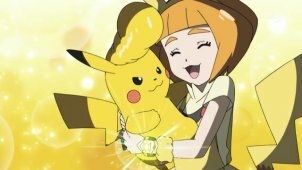 During a Pokémon Showcase, a local celebrity Pokémon Performer called Amelia used one during her various appeals. It was never used in battle but was a big part of Amelia's team in the showcase, and uses its moves in order to create dazzling appeals that help win showcases for its trainer. There is colour co-ordination in Amelia's team with this purple Dragonair, her Espeon and Amelia's standard clothing. First Seen: Episode 912: Master Class Choices! The alternate coloured Ariados appeared in Route 201 near Sandgem Town. When Dawn visited Professor Rowan, his Piplup and Chimchar had escaped. While looking for them, Dawn encountered a swarm of Ariados. 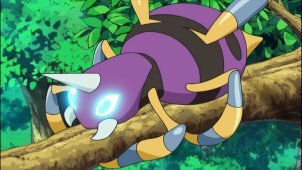 Managing to hold them back, she was soon rendered helpless against the alternate coloured Ariados hiding in the trees. Using Psychic, String Shot and Poison Sting, it managed to restrain Dawn and her Pokémon, but eventually fell to Dawn's newly evolved Quilava which managed to take out the entire swarm. The alternate coloured Raikou is one of the protectors of Crown City along with Entei & Suicune. 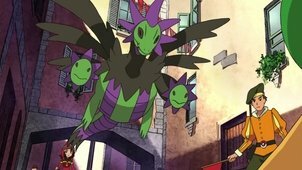 In its appearance, it appeared to try and protect Crown City from Kodai and to attack Zoroark who was forced into doing destruction within the city by Kodai. Though it, along with Entei & Suicune, was made with Zoroark, it soon understood precisely what happened and helped prevent Kodai escaping through time. 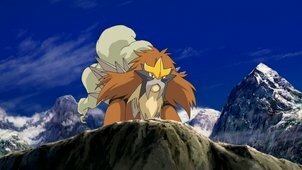 The alternate coloured Entei is one of the protectors of Crown City along with Raikou & Suicune. 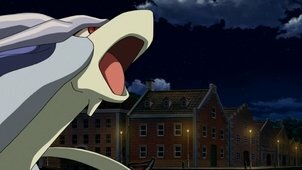 In its appearance, it appeared to try and protect Crown City from Kodai and to attack Zoroark who was forced into doing destruction within the city by Kodai. Though it, along with Raikou & Suicune, was made with Zoroark, it soon understood precisely what happened and helped prevent Kodai escaping through time. The alternate coloured Suicune is one of the protectors of Crown City along with Raikou & Entei. In its appearance, it appeared to try and protect Crown City from Kodai and to attack Zoroark who was forced into doing destruction within the city by Kodai. Though it, along with Raikou & Entei, was made with Zoroark, it soon understood precisely what happened and helped prevent Kodai escaping through time. 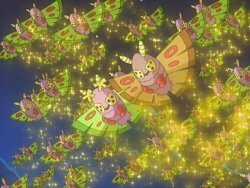 Dustox's shiny form appeared in Sinnoh. When the gang reach Lake Valor, they find it is time for the Dustox Crossing. 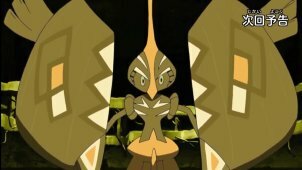 Within the Dustox is a special Dustox owned by a trainer called Austin. This Dustox captures the eye of Jessie's Dustox and eventually leaves its trainer to mate with Jessie's Dustox. Gardevoir's shiny form appeared under the control of Kimia who used it to try and stop the evil Alva from taking Volcanion & Magearna. It has the capability to Mega Evolve. 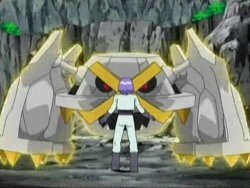 Metagross's shiny form appeared in Sinnoh. After going their seperate ways following another failed attempt to capture Pikachu, Jessie & James encounter the shiny Metagross within a cave. 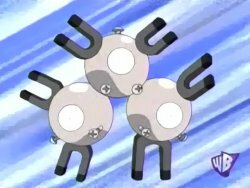 The Metagross quickly attacked them until they managed to make it go into a canyon. Rayquaza's shiny form was seen when Hoopa summoned it to face off against Legendary Pokémon which were under control of Hoopa Unbound. During the appearance, it Mega Evolved into Mega Rayquaza and helped calm the Legendary Pokémon. Druddigon's shiny appearance appeared within the Decolore Islands. During their travels, Ash & Co. met up with Clair who had come to the island to look for it. 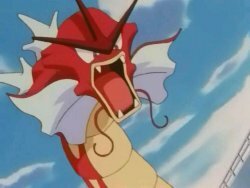 However, Team Rocket started causing issues for wild Pokémon in order to lure it out, causing the Druddigon to go on a rampage. Clair eventually caught it. 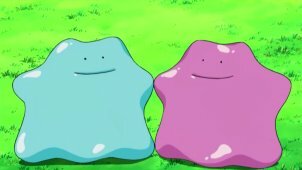 First Seen: Episode 797: A Pokémon of a Different Color! 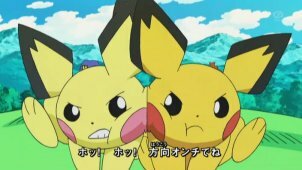 Golurk's shiny appearance appeared solely in the Black version of the Victini movie. 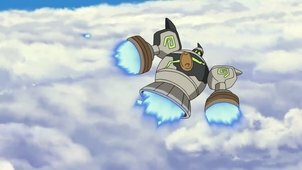 This Golurk, owned by Juanita, was used to aid Ash & Co. against Damon as he tried to control Victini and the city of Eindoak with the Legendary Dragon. Hydreigon's shiny appearance appeared solely in the White version of the Victini movie. This Hydreigon, owned by Carlita, was used to aid Ash & Co. against Damon as he tried to control Victini and the city of Eindoak with the Legendary Dragon. Genesect's shiny appearance came within its titular movie. 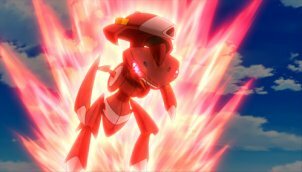 In the movie, it was the leader of a group of five Genesect, revived and modified by Team Plasma, who returned to the Pokémon Hills in search of their home, but found things had changed, and started attacking. 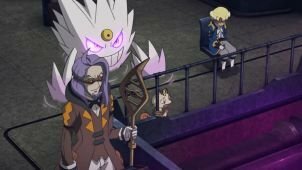 First Seen: Episode 780: Meowth, Colress and Team Rivalry! 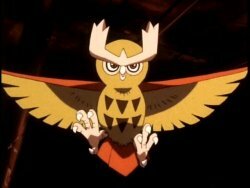 Hawlucha's shiny appearance was shown in an episode where Ash accidentally thought it was attacking a helpless Pokémon and went to defent it. 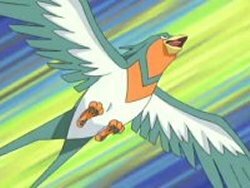 It turned out the Hawlucha was an actor participating in a fighting play and in trying to help, Ash injured its costar, so Ash's Hawlucha had to take up the mantle and face the shiny Hawlucha in the play. First Seen: Episode 854: When Dark and Light Collide! 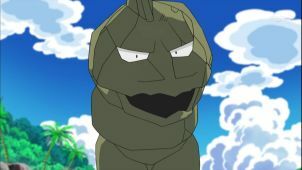 Phantump's shiny appearance was shown in an episode where Ash & co. bumped into one after it had been separated from its home due to an attack by Team Rocket. 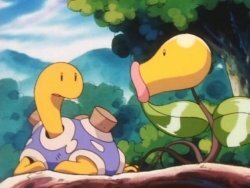 Ash & co., befriending it, took it back to its home where it learned to be friendly with other Pokémon. First Seen: Episode 920: Making Friends and Influencing Villains! 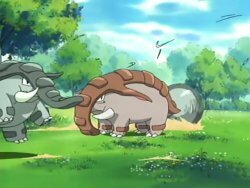 Charjabug's shiny appearance was shown in an episode where Ash, Kiawe and Sophocles entered a Charjabug race. 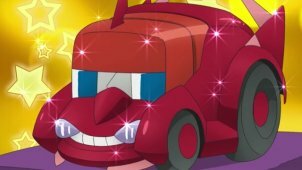 One team, Red Comet, was using a shiny Charjabug in a car outfit akin to a shiny Genesect in order to win the race..
First Seen: Episode 984: Mounting an Electrifying Charge! 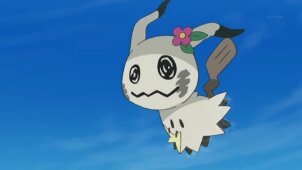 Mimikyu shiny appearance was shown when it appeared with Acerola. 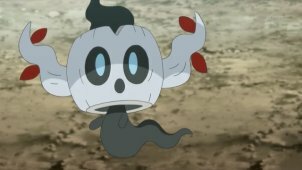 Her Mimikyu has passed on and remains as a ghost. Due to this, while it can use attacks, it cannot do any damage to any Pokémon. First Seen: Episode 1016: Why Not Give Me a Z-Ring Sometime? 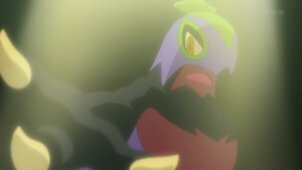 A Shiny Tapu Koko appeared to use an attack while the Melemele Island Guardian Tapu Koko and Pikachu were having a battle. This resulted in a tear in the space-time continuum which resulted in Ash getting transported to an alternate Melemele Island. 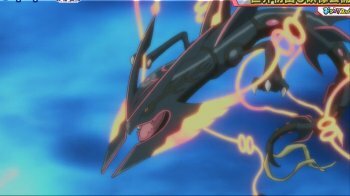 The Tapu Koko then comes later to give Ash and Dia the power to use Z-Moves against Guzzlord.